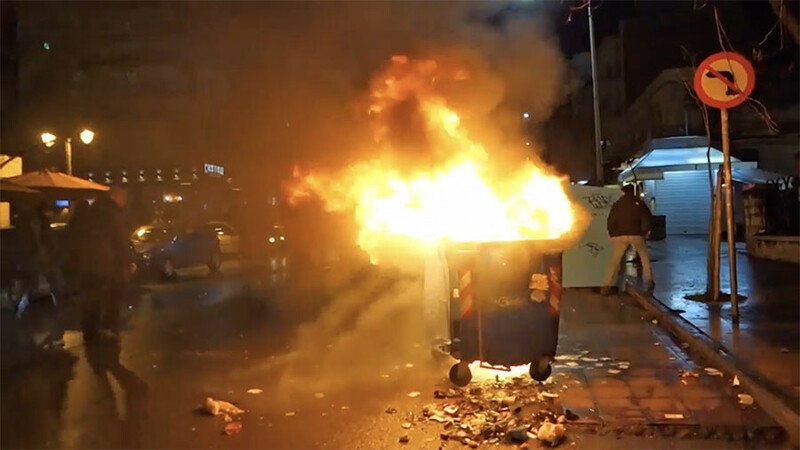 Riots broke out in Thessaloniki, Greece after a soccer derby was called off on Sunday. 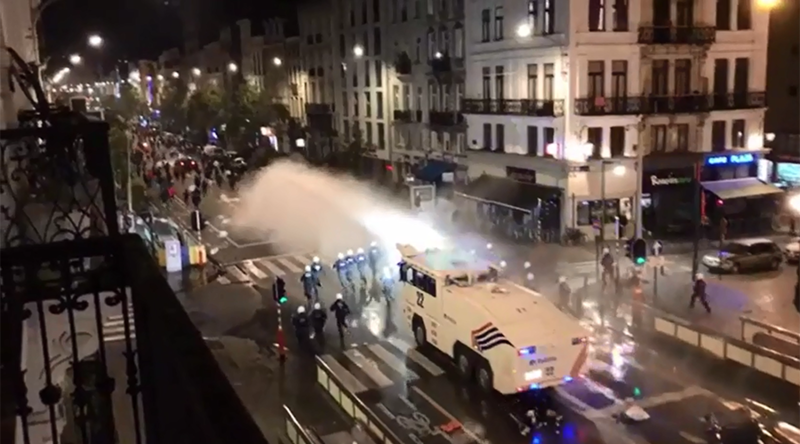 Frustrated football fans threw missiles at police and set fire to bins, while tear gas was deployed to disperse the crowd. The PAOK-Olympiakos Greek Super League game was canceled after Olympiakos manager Oscar Garcia was hit in the face by a paper roll thrown from the stands at the club’s Toumba Stadium just before the match began. At first, the game was delayed but it was finally abandoned some two and a half hours later. Garcia was taken to hospital for a head scan, Ekathimerini reports, and was treated for an injury to his lip. 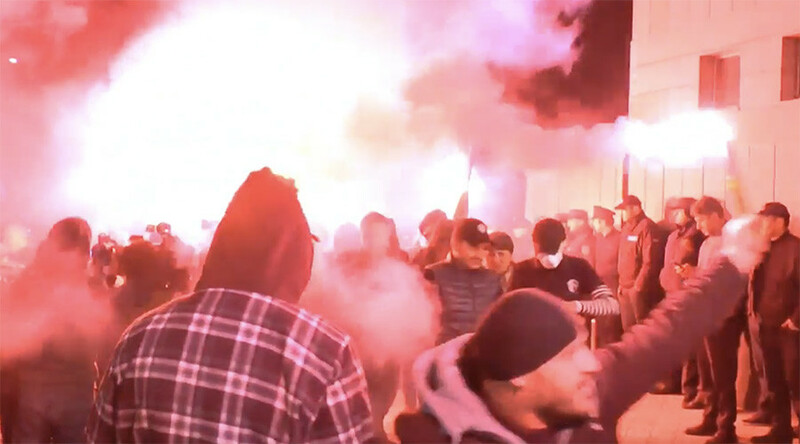 Fans vented their frustration on the streets surrounding the Toumba Stadium. Police used tear gas to disperse the crowds, many of whom were throwing missiles at law enforcers. Footage shows multiple bins engulfed in flames. 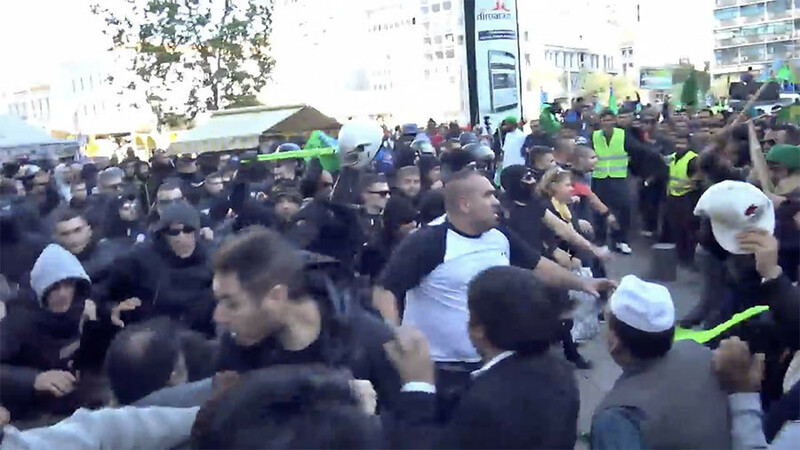 A group of fans are also seen rolling a large bin towards a line of riot police. According to the league’s rules, if a club’s supporters are found to be responsible for injuring anyone on the pitch, the club loses 3-0 and has three points docked. 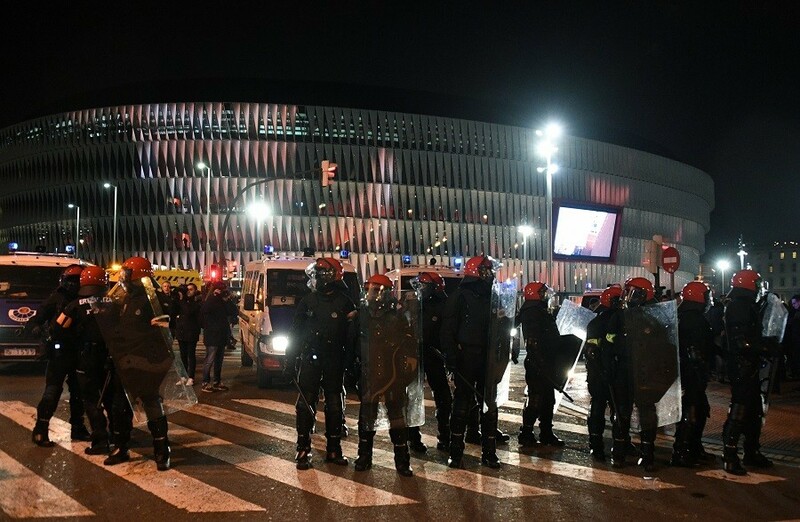 The club may also have to pay a fine, Reuters reports. PAOK is currently top of the league, while Olympiakos is in third place.